Passiflora incarnata, more commonly called passion flower, is an herbal remedy with calming effects. 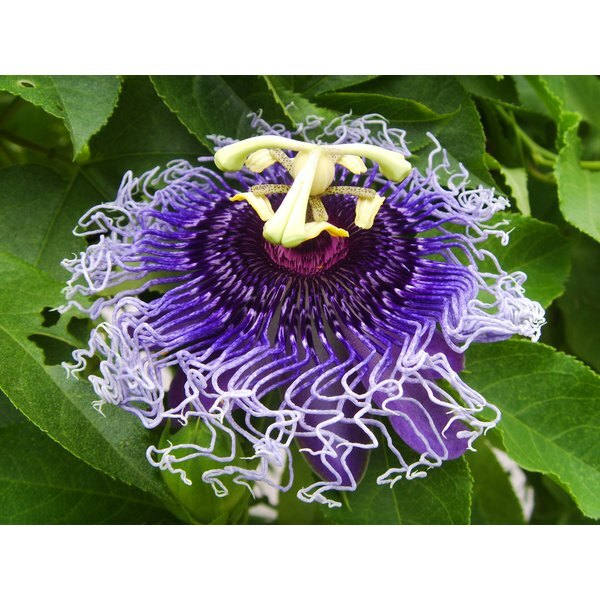 Passion flower may increase the amount of gamma-aminobutyric acid (GABA) in the brain, as explained by the University of Maryland Medical Center (UMMC), and GABA decreases the activity of certain brain cells. The UMMC notes that research on passion flower is lacking, with only a few studies available. Additionally, passion flower often is combined with other calming herbs, making it difficult to identify individual effects. People have used passion flower traditionally to treat anxiety, and continue to do so today. A study published in the October 2001 issue of the "Journal of Clinical Pharmacy and Therapeutics" found that passion flower was as effective as the prescription medication oxazepam for treating generalized anxiety disorder. A review of studies published in the February 2006 issue of the "British Journal of Psychiatry" mentions passion flower having potential for sedative use in people with mental health problems. Another study published in the same issue of "Journal of Clinical Pharmacy and Therapeutics" found that passion flower was helpful in treating opiate withdrawal. Opiate addicts treated with passion flower extract plus the medication clonidine were compared with those treated with clonidine plus placebo over 14 days. Both therapies were equally effective in reducing physical withdrawal symptoms, but the group receiving clonidine plus passion flower had significantly better control over mental symptoms such as anxiety. An extract of passion flower and hawthorn shows potential for treating shortness of breath and difficulty exercising in people with congestive heart failure, according to the U.S. National Institutes of Health (NIH). However, research on passion flower on its own for this use is lacking.